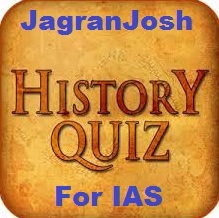 Modern history section in IAS Prelims should be given preference because frequent questions are asked from this section. Modern History can prove to be very scoring in the IAS Prelims Exam. Here, we have provided some important questions on non-cooperation and khilafat movement keeping in mind the pattern of UPSC IAS Prelims Exam. The IAS Exam aspirants should have balanced preparation of overall three sections of the History. Modern history section is interesting as well as challenging. Questions asked from Modern Indian History section in IAS Prelims Exam are quite easy but the aspirants need to memorize well before appearing in the exam. We have attempted to cover all the probable questions on Khilafat and the non-cooperation movement in this article. In December 1920 at the Nagpur session of the Indian National Congress took significant decisions like endorsing the programme of non-cooperation and an important change was made in Congress objectives that instead of having the attainment of self-government through constitutional means as its goal, the Congress decided to have the attainment of swaraj through peaceful and legitimate means, thus committing itself to an extra constitutional mass struggle. Some important structural changes were made because congress was just a one committee party and to handle a nationwide campaign it needed a well equip and efficient organization. Hence, a Congress Working Committee (CWC) of 15 members was set up to lead the Congress; Provincial Congress Committees on linguistic basis were organized; ward committees was organized; and entry fee was reduced to four arenas. 2. Which of the following leaders were among those who left congress after the declaration of non- cooperation programme because they still believed in lawful struggle? With the declaration of non- cooperation programme by the congress in the Nagpur session of 1920, many groups of revolutionary terrorists, especially those from Bengal, also pledged support to the Congress programme. But at this stage, some leaders like Mohammad Ali Jinnah, Annie Besant, G.S. Kharpade and B.C. Pal left the Congress as they believed in a constitutional and lawful struggle while some others like Surendranath Banerjee founded the Indian National Liberal Federation. 3. Who became the principal of National College at Calcutta cropped during the time of non cooperation to widespread national education and boycott government colleges? Gandhi accompanied by the Ali brothers undertook a nationwide tour to spread the khilafat and non cooperation movements. Many students left government schools and colleges and joined the national schools and colleges which cropped up during this time. These educational institutions were organized under the leadership of Acharya Narendra Dev, C.R. Das, Lala Lajpat Rai, Zakir Hussain and Subhash Chandra Bose who became the principal of National College at Calcutta and included Jamia Millia at Aligarh, Kashi Vidyapeeth, Gujarat Vidyapeeth and Bihar Vidyapeeth. 4. Many local struggles emerged during the non cooperation movement which gave definition to spirit of defiance at the regional level to the national struggle. Which of the below movement are correctly match with the given local cause? 1) Sikh agitation - For the removal of Mahants in Punjab. 2) Eka Movement – Due to oppression of ‘thekedhars’ who were entrusted to collect high rents. 3) Awadh Kisan Movement - Due to exorbitant rents, illegal levies and renewal fees that had made life tough for peasants. The spirit of defiance and unrest during the non cooperation programme gave rise to many local struggles such as Awadh Kisan Movement in United Province due to exorbitant rents, illegal levies, renewal fees or nazrana, and arbitrary ejectments or bedakhali had made life tough for peasants. , Eka Movement in united Province due to oppression of thekedhars who were entrusted to collect rent, Mappila Revolt in Malabar and the Sikh agitation for the removal of Mahants in Punjab. 1) Foreign products were boycotted and the British imports fell by half the initial amount. 2) Tilak Swaraj Fund was oversubscribed and 100 crore rupees was collected to support non cooperation. 3) Congress volunteer corps emerged as the parallel police. The adoption by the Congress of the non-cooperation movement initiated, earlier by the Khilafat Committee gave it a new energy, and the years 1921 and 1922 saw an unprecedented popular upsurge. Many students left government schools and colleges and joined around 800 national schools and colleges which cropped up during this time. Many lawyers gave up their practice. Heaps of foreign cloth was burnt publicly and their imports fell by half. Picketing of shops selling foreign liquor and of toddy shops was undertaken at many places. Tilak Swaraj Fund was oversubscribed and one crore rupees collected. Congress volunteer corps emerged as the parallel police. 6. Who was the prominent leader in Assam during non cooperation when strikes took place in tea plantations and Assam-Bengal Railways services were organized? The spirit of defiance and unrest during non cooperation and khilafat movements gave rise to many local struggles such as Awadh Kisan Movement in United Province, Eka Movement in United Province, Mappila Revolt in Malabar region and the Sikh agitation in Punjab. In Assam, strikes in tea plantations, steamer services, Assam-Bengal Railways had been organized and J.M. Sengupta was a prominent leader in these strikes. 1) The Khilafat Committee initiated a campaign of non-cooperation and the movement was formally launched. 2) The Ali brothers were arrested for calling the Muslims to resign from the British Army as that was unreligious. Mohammad Ali and his brother Maulana Shaukat Ali (Ali Brothers) joined with other Muslim leaders to form the All India Khilafat Committee. Its purpose was to pressure the British government to preserve the authority of the Ottoman Sultan as Caliph of Islam. The Khilafat Committee initiated a campaign of non-cooperation and the movement was formally launched. At a special session in Calcutta, the Congress approved a noncooperation programme till the Punjab and Khilafat wrongs were removed and swaraj was established. 1) Gandhiji immediately announced the withdrawal of the movement after the violence in Chauri Chaura Incident. 2) The Congress Working Committee met at Bardoli in February 1922 and resolved to stop all activity under non cooperation movement. 3) In March 1922 Gandhi was arrested and sentenced to ten years in jail. Gandhiji, not happy with the increasingly violent trend of the movement, immediately announced the withdrawal of the movement after the violence in Chauri Chaura Incident. The CWC met at Bardoli in February 1922 and resolved to stop all activity that led to breaking of law and to get down to constructive work. 1) Jawahar Lal Nehru called the withdrawal as nothing short of a National Calamity. “To sound the order of retreat lust when public enthusiasm was reaching the boiling point was nothing short of a national calamity.”-Subhas Chandra Bose. “I would suffer every humiliation, every torture, absolute ostracism and death itself to prevent the movement from becoming violent.”- M.K. Gandhi. The movement was called off just when the masses seemed to be taking the initiative was the Marxist Interpretation. The principal lieutenants of the Mahatma, Desnbandhu Das, Pandit Motilal Nehru and Lala Lajpat Rai, who were all in prison, shared the popular resentment. 10. The Congress-Khilafat Swarajya Party formation as the aftermath reaction of withdrawal of non cooperation was Established by? In December 1922, Chittaranjan Das, Narasimha Chintaman Kelkar and Motilal Nehru formed the Congress-Khilafat Swarajya Party with Das as the president and Nehru as one of the secretaries. It was inspired by the concept of Swaraj and sought for greater self-government and political freedom for the Indian people from the British Raj. The other group was the 'No-Changers', who had accepted Gandhi's decision to withdraw the movement. Now both the Swarajists and the No-Changers were engaged in a fierce political struggle, but on the advice of Gandhi, the two groups decided to remain in the Congress.